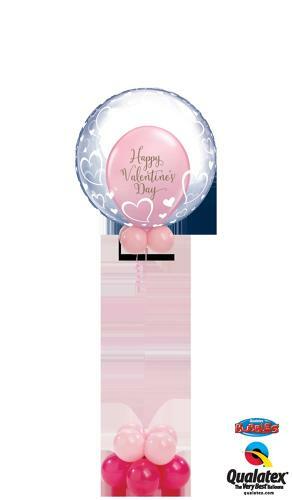 Deco buubles make the ideal Valentine gift. They can be done in a variety of different outer bubble designs including hearts. They can be done with any of our 11" latex in the middle and are finished with a co-ordinating collar and base.